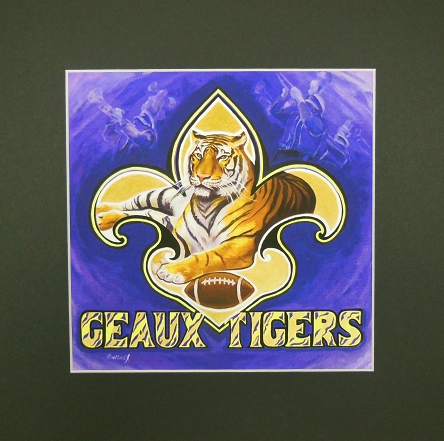 GEAUX Tigers Fleur De Lis Print 12x12"
Home > New Orleans Gifts > GEAUX Tigers Fleur De Lis Print 12x12"
This Alla Baltas print features a tiger and football in the center of a fleur de lis. It also features a GEAUX TIGERS at the bottom. Picture itself measures 8x8. You can remove the matte or leave as is. If you do add the Matte, then it becomes an 12x12. Gator Gumbo Print by Alla Baltas 12x12"
Hot Sauce Print by Chris Long 13.25x16"